As new pests or diseases are identified, or animals and plants develop resistance to existing technologies, access to safe and effective agricultural and veterinary (AgVet) chemicals becomes critical to the success of our rural industries. The AgVet Collaborative Forum was established in 2015 to promote information sharing and prioritise industry needs when accessing AgVet technologies. AgriFutures Australia is one of eight forum partners, seeking to consider options for more efficient and effective AgVet investment for the benefit of Australia’s rural industries. 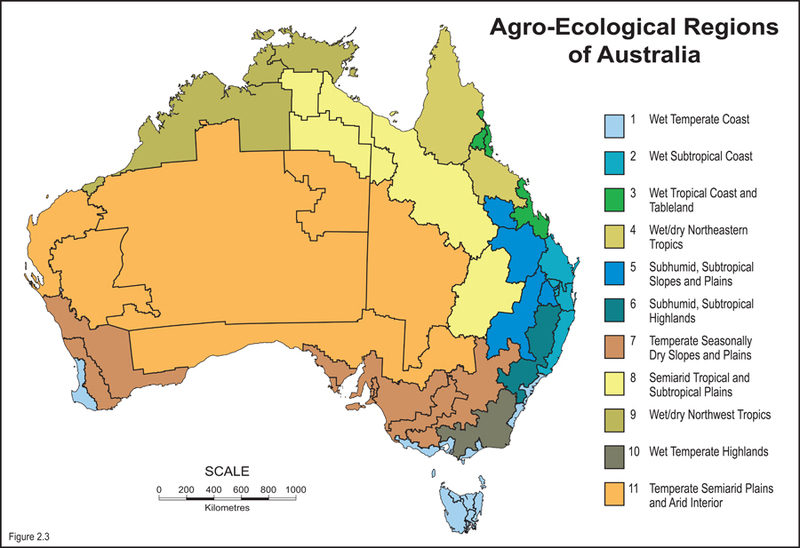 Australian farmers have less access to AgVet chemicals than many of their international competitors. Access to a wider range of AgVet technologies gives Australian producers a broader suite of solutions to assist them in producing clean, healthy food in a sustainable manner. The benefits flow beyond the farm gate to improved environmental, animal welfare and food quality outcomes. We need to increase investment in AgVet chemicals in Australia. One way to address this is to facilitate cross-sector discussion with government and commercial chemical companies on options to increase Agvet chemical access. In support of this approach, AgriFutures Australia established the AgVet Collaborative Forum to provide a platform for the agricultural industries, AgVet chemical registrants and governments to consider options for more efficient and effective AgVet investment. Formed in June 2015, the Forum also promotes information sharing and active industry prioritisation of key challenges to accessing AgVet technologies. Through the Forum, industries identified issues requiring AgVet solutions and these were allocated a priority according to the technical viability of a solution and commercial registrant support. Now in its second year, the AgVet Collaborative Forum has facilitated a direct, formal discussion between the users of AgVet technologies and those businesses that produce them. The Forum continues to gain traction, establishing a signed agreement for continued participation between four plant and animal industry research and development corporations (RDCs). 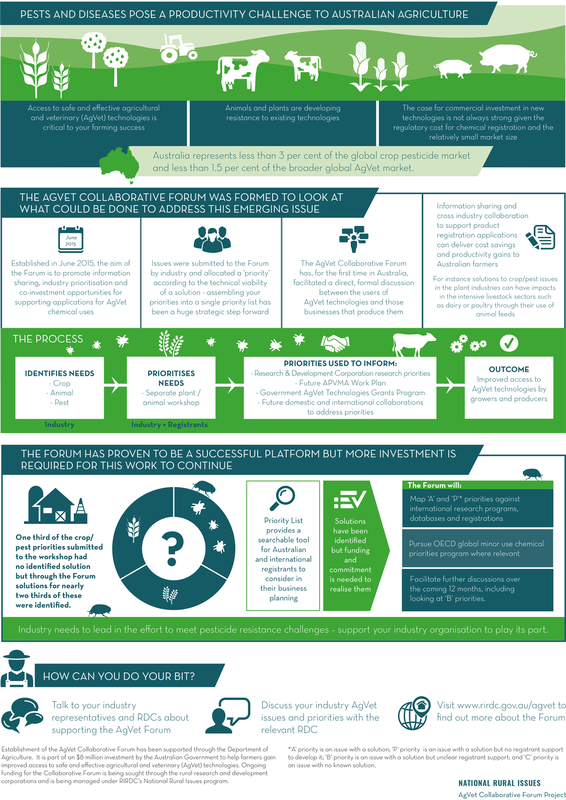 The AgVet Collaborative Forum (‘Forum’) was established in 2016 to provide a platform for the agricultural industries, AgVet chemical registrants and governments to consider options for more efficient and effective AgVet investment. The AgVet Priorites List provides AgVet technology companies, research organisations and industry with an opportunity to search the list to establish industry needs and the potential solutions to these challenges.